Pittsburgh Steelers quarterback Ben Roethlisberger honored victims of the Tree Of Life Synagogue shooting Sunday with custom cleats that displayed the team’s logo altered to show the Star of David. 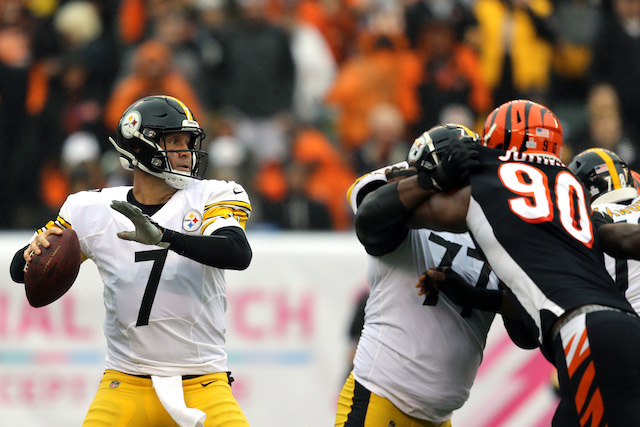 In a post-game interview following the Steelers 23–16 victory over the Baltimore Ravens, Roethlisberger talked about wearing the cleats and what it meant him. For Roethlisberger, the shooting hit close to home, as he is friends with Michele Rosenthal, who lost her brothers Cecil and David in the shooting, according to USA Today. The mass shooting at the Pittsburgh synagogue has been called the deadliest attack on Jews in American history. After the attack, President Donald Trump pledged full support for authorities and said if there had been an “armed guard” at the temple” nobody would’ve been killed.